Hokkaido is a popular tourist destination for Japanese people; and recently, a growing number of people from all over the world have discovered Hokkaido. One of the features of Hokkaido is that each season has it's own scenery and landscapes. Every different season provides the chance for people try different food and activities. Hokkaido is famous throughout Japan for it's delicious marine and land-based food and cuisine. According to research carried out by travel agencies, travel books and the travel industry, Hokkaido is ranked as the top destination that Japanese people would like to enjoy visiting and exploring. When you visit Hokkaido, information about weather, temperature and clothing is useful, as the weather conditions can vary greatly. 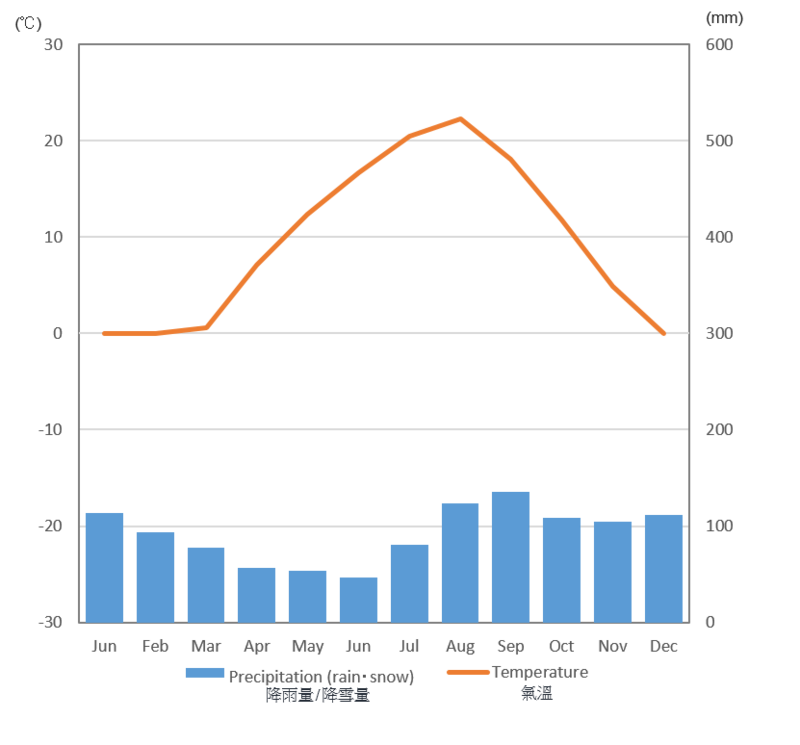 Here we introduce an outline of weather and temperatures in Hokkaido on a graph. Also, on our Facebook page, we deliver information of what clothes Hokkaido (Sapporo especially) people wear now. Just push the “Like” button and experience the everyday changes of seasons. In the area near the Pacific Ocean surrounding Kushiro City, they have little snow in winter. Sapporo City, the biggest city in Hokkaido, however, has a lot of snow in winter. Thick fog is often seen in the area near the Pacific Ocean especially in June and July. Have you prepared clothes suitable for the season when you are coming to Hokkaido? You can download the list and check.